The voice samples here were created using this add-on. Click on the images to hear the voices. Note: You may not sound exactly like the examples. 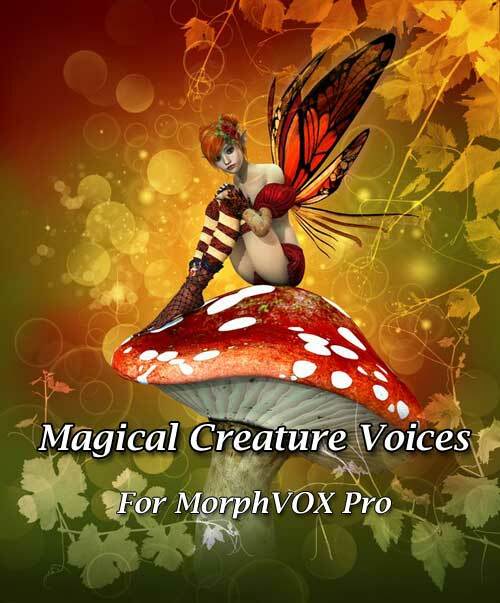 Voice changing results with Magical Creature Voices may vary from speaker to speaker.